Flushed with Rosy Colour: Operation Pinkify! Oh no, my new phone only came in black, Horror! This calls for an urgent operation to Pinkify right away! First, we needed to find the parts and found them for cheap on ebay! 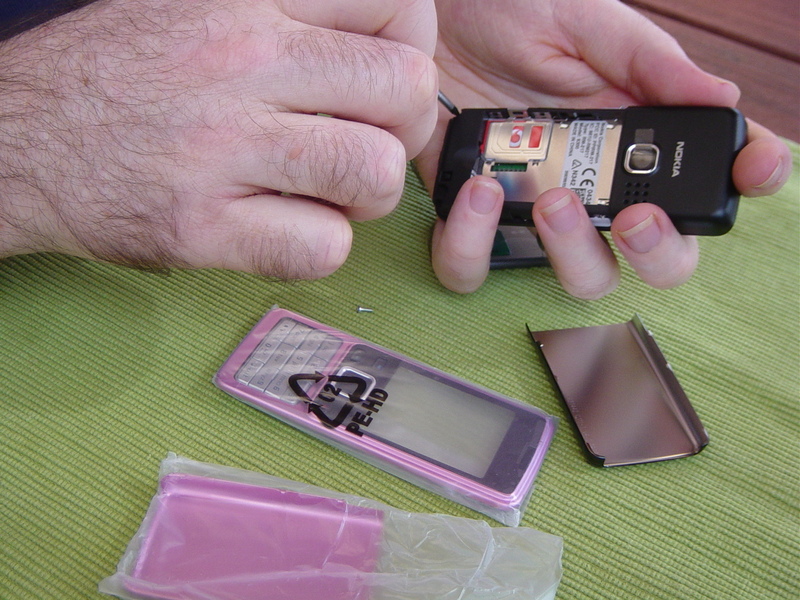 They arrived in the mail today, so David set to work to operate on the offending black casing. He soon discovered there was a little trick to it so searched youtube for a tutorial. 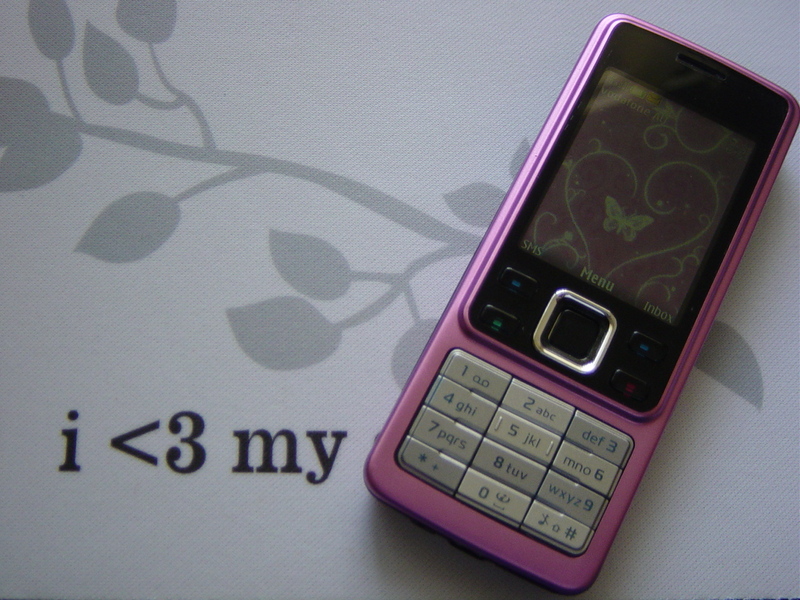 Buying a pink casing turned out to be cheaper than buying one of the pink phones in the first place! Thank goodness the black is replaced with some cute Pinkness! Also arrived this week is a surprise for me in the mail that David ordered. What's this? 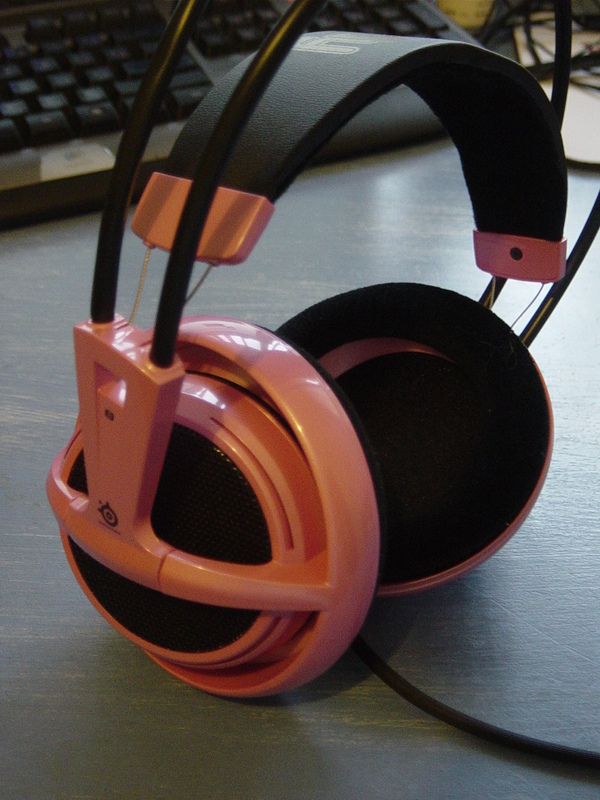 Its a pink gaming headset! Isn't it gorgeous? Now I can be a Hawt Gamer Chick in Pink Style! The pink microphone is detachable which is good for me because I keep breaking my mics when I have to plug them in the front of the pc and the wires get caught in my chair wheels. It was pretty expensive too, I hope I don't break this one! For more pinkness check out Pink Saturday at How Sweet the Sound. Heart of a Wizardess - beautiful and inspired! Blogging While Waiting -from a home-schooling mum of seven children! Now how clever is that? I just bought a new pocket-camera. It didn't come in pink either, so I thought I would just make it a quilted pink case to live in. Hope you have a lovely pink Saturday. Very nice for pink Sat! Oh, that is neat how you can change the covering. Happy Pink Saturday. 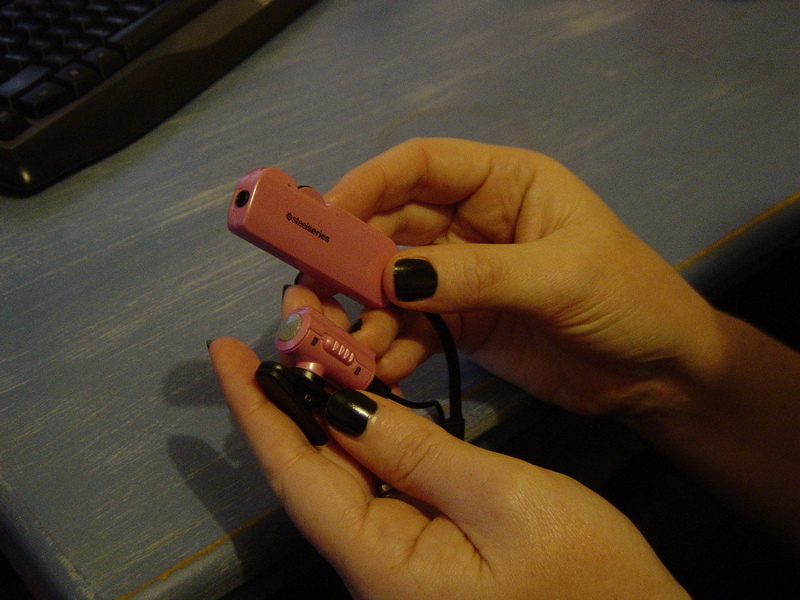 Hello..Yay what a super cool pink headset....lovely pinks..yay! Thanks so much for mentioning my blog, you are super generous! Much apprecition!